We love the holidays, but we believe what makes them so special are the traditions we carry and the memories we make. Christmas is such a magical time of year, and the great thing about it is that you can celebrate the day or the entire season. 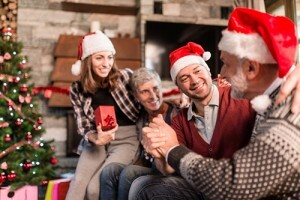 Christmastime is full of traditions, and those traditions create a lifetime of memories, because spending time together is what the holidays are all about. You may have traditions that have been in your family for generations, or you may be looking for some new ones to add. Whatever you choose to do, do it together and enjoy! These are fun to make the week of Christmas as a table centerpiece. Kits are available or you can get creative and build your own from scratch. 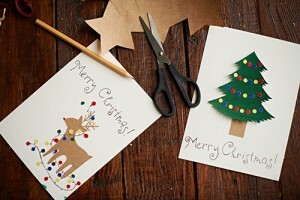 There are so many options to choose from when sending Christmas cards. You can include a family photo and a “year in review” blurb to let your everyone know the exciting adventures you had, milestones you reached, or simply share wishes for a happy holiday season. Making popcorn garland for the tree is a fun activity to do together. Pop in or stream your favorite Christmas movie and sit down with a giant bowl of popcorn. Grab some string and a needle and start threading. Of course, you can enjoy some popcorn while you are doing this. Include dried cranberries for extra color. Show some holiday love to neighbors by giving them a little gift for Christmas. These gifts can be something you know they like, or something as simple as a food gift bag. 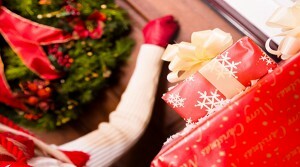 Check out these gift ideas. How will Santa know what you want for Christmas without your list? Make sure everyone writes his or her own list to mail to the North Pole. Letters to Santa don’t always have to be requesting gifts. 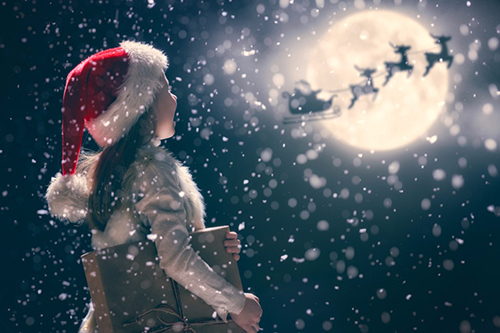 Tell your kids they can write to Santa simply to say they are excited he is coming, but don’t forget to mention to Santa how good you have been this year! It’s nice for the whole family to get together and take some time to sit and listen. Listen to how your parents celebrated the holidays growing up. Ask your grandparents what the holidays were like for them when they were younger and what kind of gifts they received. Share some unique traditions that maybe you can incorporate into your family’s celebration. Christmas pajamas are one of our favorite traditions. It makes for such a good picture, and we are positive your kids will appreciate looking back at the cute photos when they grow up. 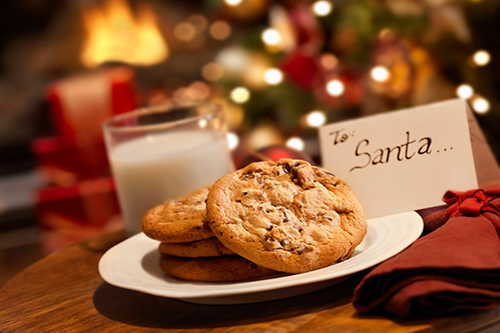 Find a special place in your home to leave some cookies out for Santa. After he drops off your presents, he will enjoy a little treat. You can also leave him a note to say hello. Check out these cookie recipes before baking your sweet Santa treats. Santa isn’t the only one who needs to keep up his energy on Christmas night — the reindeer do a lot of work, too. Don’t forget to leave them a treat outside. Simply sprinkle your reindeer food on the lawn at night. The moon will make it sparkle bright. As Santa’s reindeer fly and roam, this will guide them to your home. Reindeer food: Mix dry oats and glitter in a Ziploc bag. Shake. Let children spread on the lawn. The magic is in believing! Leave a trail to show that Santa was there on Christmas Eve. 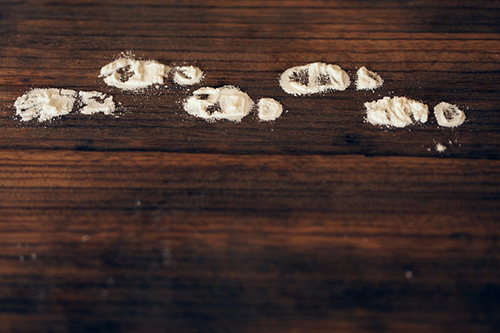 Use flour to mold boot-like prints on the floor or sprinkle the flour on the floor and stamp the boot in it like tracks. Whichever you choose, this is sure to bring the magic alive Christmas morning. 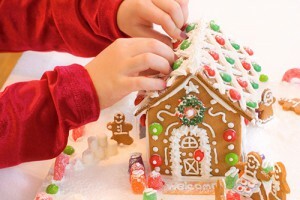 Keep your holiday spirit alive by creating your own family traditions, and try some you may have never done. Share some of your favorite Christmas traditions with us in the comments below.